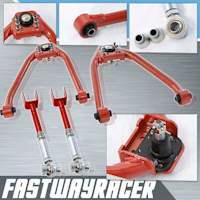 Brand new one pair complete rear camber kit. 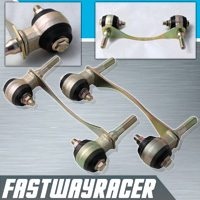 The camber kit is made of high quality strength steel. It is direct bolt on designed. When you lowered your car, your rear camber is off. This is best solution for the correct suspension. 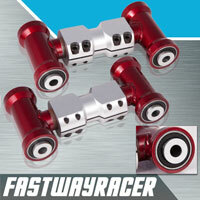 It is designed for street&race-precision adjustments. 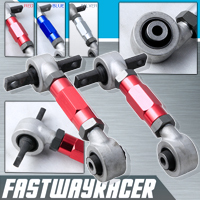 These rear camber adjusters are equipped with hemispherical rod-ends that allow incredibly controlled rear suspension travel and predictable response, improve handling and allow for even tire wear. We offer 3 years warranty.